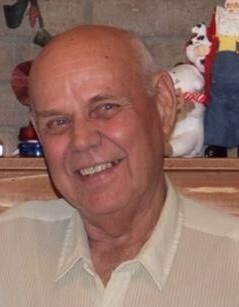 Hubert Hackett, Jr., 87, of Carrollton, KY, died on Wednesday, March 27, 2019 at the Norton Brownsboro Hospital in Louisville, KY. He was born on June 17, 1931 in Carrollton, Carroll County, KY, the son of the late Hubert Hackett, Sr. and Ethel Richmond Hackett. He had farmed all his life and was the former manager of Golden Burley Tobacco Warehouse in Carrollton. He was a former member of Southern States Cooperative and the A.S.C.S. Board. He enjoyed fishing, hunting and playing cards. He loved Western Movies and he was a University of Kentucky Basketball and Football fan. He enjoyed spending time with his grandchildren. He had served his Country Honorably in the United States Army in Germany during the Korean Conflict. He will be missed by his two daughters, Becky (Dean) Tandy of Lexington, KY; and Jennifer (Mike) Stewart of Carrollton, KY; a son, Barry K. (Dana) Hackett of Torrance, CA; six grandchildren, Derek Nathaniel Hackett of Torrance, CA; Barry Mandale Hackett of Long Beach, CA; Ethan Michael Stewart of Starkville, MS; Isaac Christopher (Sally) Tandy of Lexington, KY; Sarah Dean (Jeff) Hennessy of Durban, South Africa, and Rachel Elizabeth Tandy of Lexington, KY; two great grandchildren, Eli Bruce Tandy and Henry Dean Tandy, both of Lexington, KY. He was preceded in death by his parents, his wife, Joy Keith Hackett on July 31, 2015, two sisters, Joan Young on March 12, 2016 and Betty Jean Tomlinson on July 8, 2016, a brother, Carroll Hackett of March 18, 2015.